Clearly pushing forward with the Yung-96 as one of its premier Originals silhouettes, adidas continues to refresh the chunky model with a myriad of new and exciting color schemes. 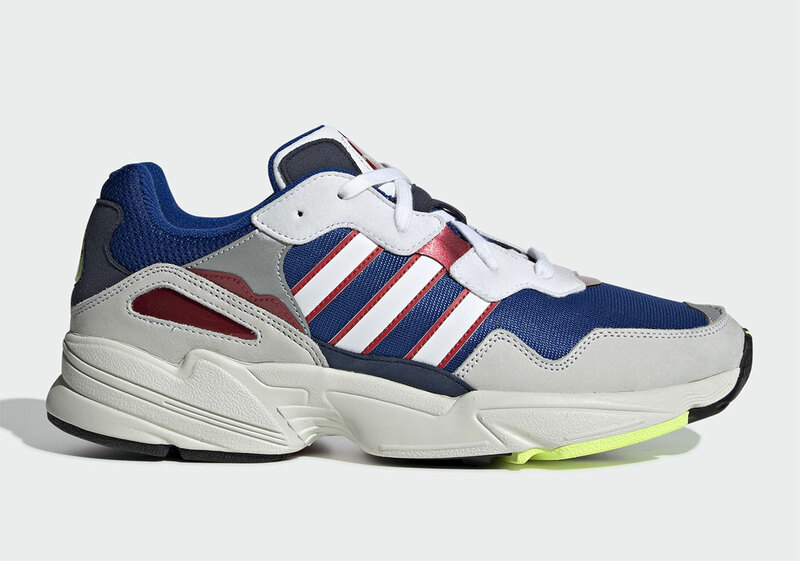 Drawing inspiration from its Yung-1 predecessor, the 96 equips an over-layered upper with a slue of color blocking capabilities including this sporty combination of Navy and Red featured here. Black, white, and grey are mixed in as well to provide the offering with a neutral base, and a quick hit of head-turning volt takes shape on the bottom of its sole unit and on its Trefoil brand heel stamp as a clear focal point. Avid Three Stripes enthusiasts looking for another Yung-96 to lace up this Spring will be able to do so upon their arrival on adidas.com and at other stockists soon.